2 days of exciting Dock Diving Competition! 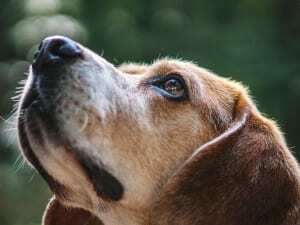 Join Dr. Wilson and Acupetvet at Dog Daze Family Fun Festival! 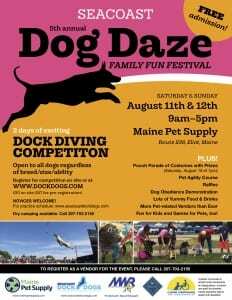 This is an annual event where Dock Dogs set up a pool and compete while vendors, crafters, food trucks, and non-profits gather together to raise money for Canine Companions for Independence's Northern New England Chapter. FREE ADMISSION! Join Acupetvet at the Dog Body Seminar hosted at Deco Dogs Daycare! Speakers include Dr. Wilson and Laura Gendron (Miss Behavior). Take 5 Dog Care, 122 Mast Rd. 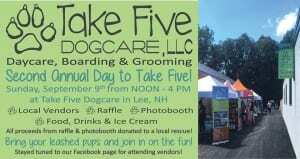 Join Acupetvet and Dr. Wilson at Take Five on Sunday, September 9th with your leashed pups for a fun day filled with local vendors, rescues, a raffle, photo booth, food, and drinks! All proceeds this year will go to Pet Tails Rescue! 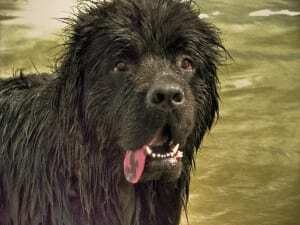 Join Acupetvet and Dr. Wilson at Newfie Fun Days in Eliot, ME. Join Dr. WIlson and Acupetvet at this year's Apple Harvest Day in beautiful downtown Dover, NH. With over 300 vendors, five stages filled with entertainment, Orchard Alley, kids activities and wonderful food, Apple Harvest Day is a can't miss. See you there! 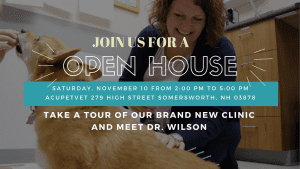 Acupetvet Clinic, Somersworth, 279 High St.
Dr. Tasha Wilson will be traveling to sunny Florida for more Canine Rehabilitation Therapy classes. Check back with Acupetvet on December 11th when Dr. Wilson returns with more tricks and tips for your pet's rehabilitation therapy session. Join Dr. Wilson at this interactive seminar at Maine Pet Supply, Eliott Commons Route 236. Listen to Dr. Tasha Wilson of Acupetvet talk about her alternative therapy treatments for pets with Mike Pomp on 98.1 WTSN.